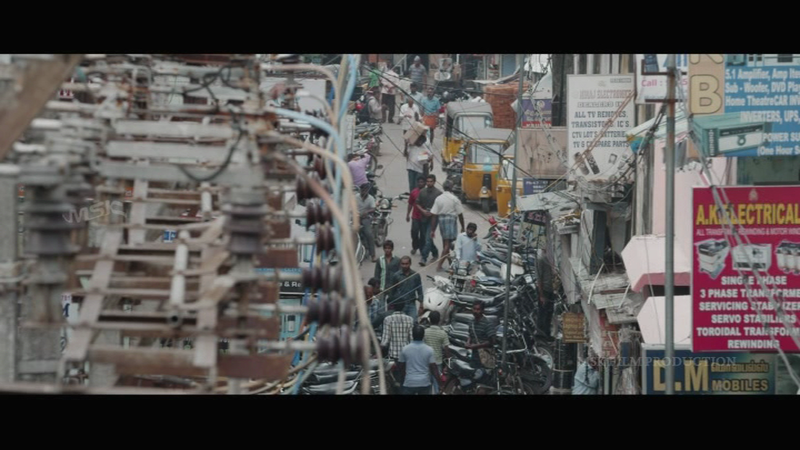 Writer and first time director P Ramesh offers something a little different in his crime drama that delves into the world of surveillance and private detection in Chennai. 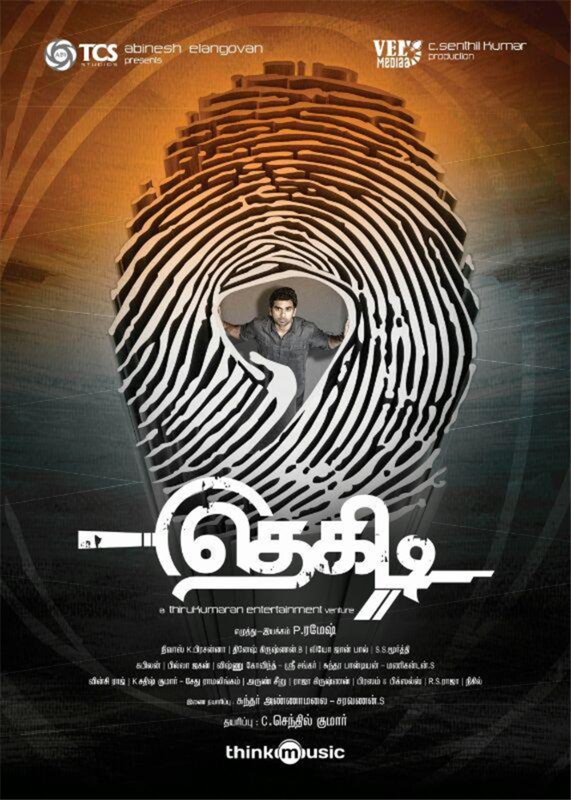 Despite what the subject matter might suggest, this isn’t a nail-biting thriller but instead Thegidi is a well-written and intelligently constructed mystery, that eschews car chases and fight scenes to focus on better than usual plot development and realistic characterisations. While that may not sound exciting, it’s actually an intriguing story with enough suspense to hold your attention right up to the very end, and just when you think it’s all over there is a tantalising hint of a possible sequel. P Ramesh keeps it deceptively simple while building a detailed plot and at least with the surveillance angle this time the hero really does have a legitimate excuse for stalking the heroine! The film starts with some excellent opening titles which are evocative of American comic strips and are a great way to set the scene. From this I was expecting a classic ‘lone gumshoe against the rest of the world’ detective story, and allowing for some modern updates that’s pretty much what I got. Vetri (Ashok Selvan) is a new criminology graduate who accepts a job offer to work for a private detective agency in Chennai. He’s very wet behind the ears and it’s this inexperience and naiveté that play a large role in the events that follow. 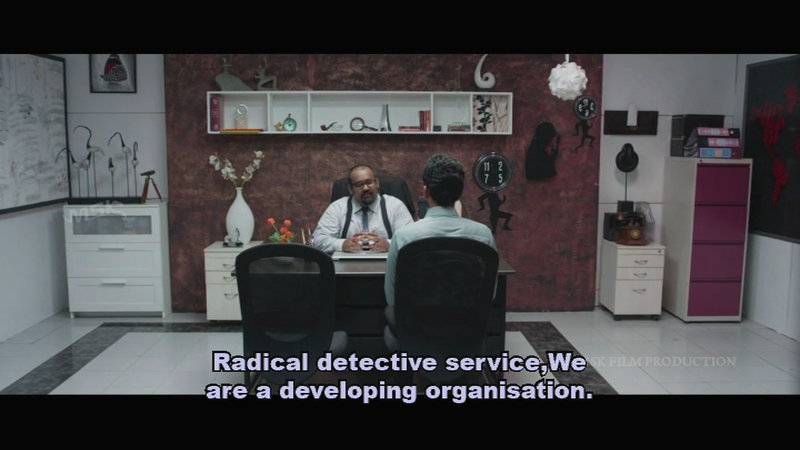 Vetri’s bosses at the Radical Detective Agency, Sadagoppan (Pradeep Nair) and Sailash (Jayakumar) set him the task of finding out about some apparently ordinary people with the implication that they are being investigated by their employers. As the star pupil from his class, Vetri appears to have little difficulty in carrying out his assignments despite hanging around rather conspicuously in stairwells and spending time observing from his car. 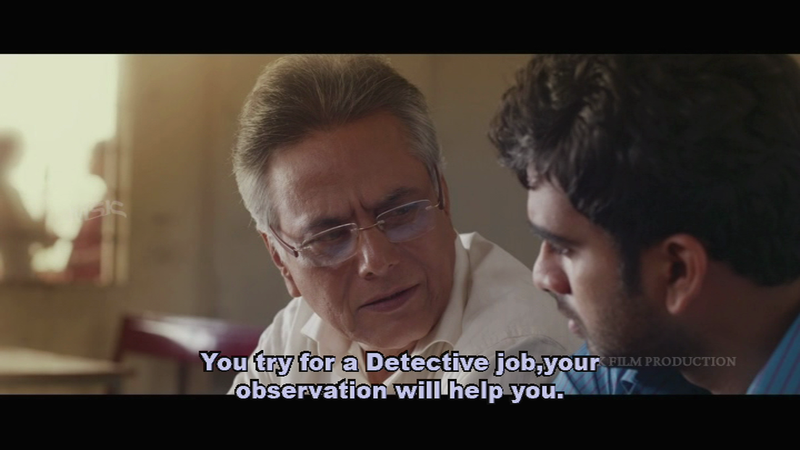 Ashok Selvan is generally believable as a nerdy and overly idealistic private detective, although he relies heavily on the same two expressions throughout. He’s still quite wooden and inexpressive, but compared to his previous role in Soodhu Kavvum, his lack of expression here is at least more in keeping with the reserved nature of his character. And he does seem to be trying – there are some good moments between Vetri and his mentor, Govardhanan (Rajan Iyer) which help establish Vetri’s character early on and later on between Vetri and his friend Nambi (Kaali Venkat). Vetri slips up one night while trying to break into an apartment and is spotted by Madhu (Janani Iyer) who suspects that he is a thief. One brief glance has intrigued Vetri and before long he has managed to meet Madhu, convince her of his innocence and the two are well on their way to falling in love. Only in the movies! Of course things get more complicated when Madhu turns out to be one of the people on Vetri’s list of surveillance subjects, especially since getting close to the target is contrary to one of the cardinal rules of his job. The romance here is beautifully handled with Vetri doing the best he can to mess things up and Madhu keeping everything on an even keel. It works because it does feel true to life and there is some good chemistry between the two leads. Janani Iyer is lovely here and she imbues Madhu with plenty of joyfulness and grace while keeping her as an essentially well grounded character. She perfectly conveys her initial suspicions, gradual acceptance and final mistrust and is very convincing in the romance scenes. P Ramesh does give her a relatively substantial role and uses Madhu as a means of further developing Vetri’s personality and making him rather more vulnerable than he first appears. Around the same time Vetri realises that the people he has been shadowing are dying from a variety of seemingly unrelated causes. Given that Madhu is on his surveillance list Vetri suddenly has a very pressing reason to work out exactly what is going on before she becomes a target too. 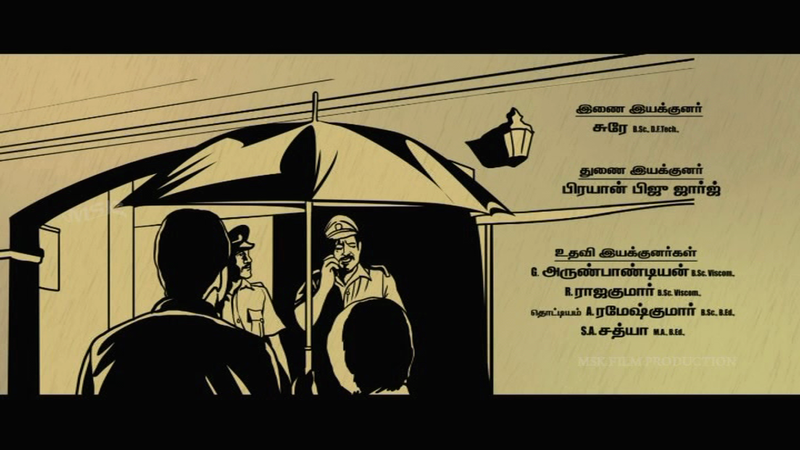 He’s helped in these endeavours by Nambi who has a more realistic view of the situation and acts decisively while Vetri gets somewhat bogged down in the investigative detail. Kaali Venkat is excellent and has totally nailed the role of best friend and ‘the sensible one’ who unfortunately doesn’t manage to convince Vetri to follow his advice. 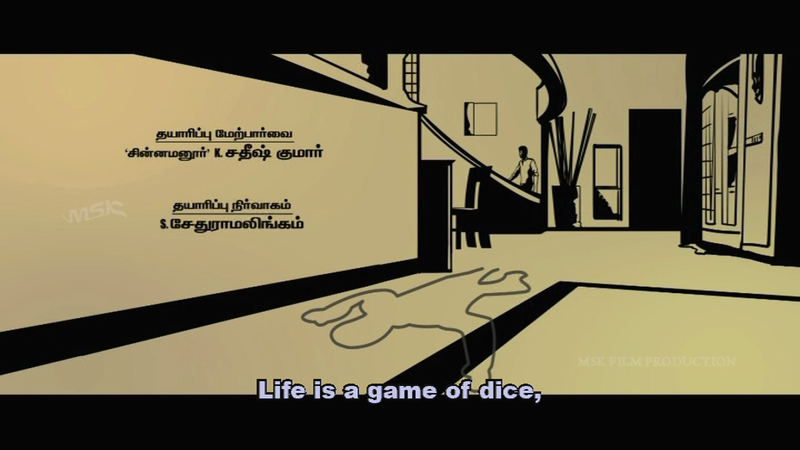 However, mainly through a series of mistakes, Vetri manages to bring the case to the attention of Inspector Raghuram (V. Jayaprakash) who is astonishingly tolerant of Vetri’s meddling and unusually receptive to his ideas, while competently managing a police investigation into the suspicious deaths. This is where the story starts to get a little more unrealistic, but that’s not a major issue given that the characters themselves stay true to their initial characterisations. P. Ramesh works on building up suspense but the story is relatively simple and we know by the interval exactly who is responsible for the deaths. There is still a minor build up of tension around Vetri’s impulsive actions and the uncertainty surrounding Madhu and the fledgling romance which could be over before it’s begun due to Vetri’s uncommunicative nature. P. Ramesh also works on fleshing out the motivations for the crime which is well written but again a little predictable given the nature of the people involved. 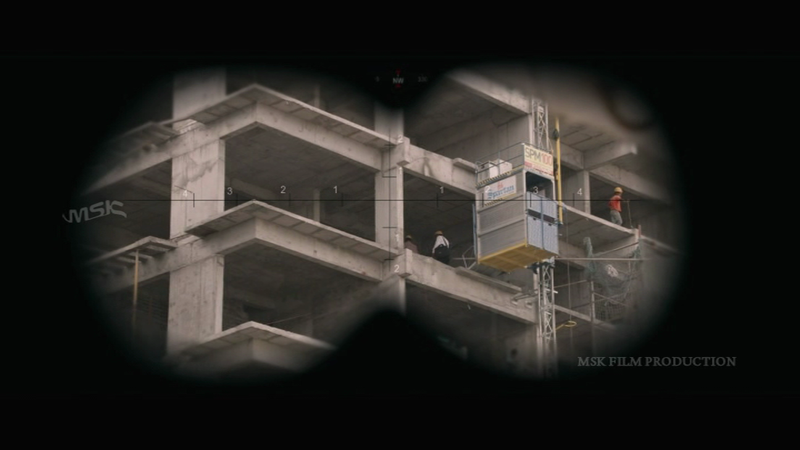 In addition to the well written screenplay and good performances the film also looks fantastic due to the combination of excellent cinematography from Dinseh Krishnan and some rather nifty set design. I love the clocks on the wall, the pipe and magnifying glass on the shelf and the ibis sculptures in the detective office and there are more intriguing sculptures and decor in almost every room. Many of the shots are beautifully framed with good use of the external environment and quite a few actually serve to increase the tension by isolating Vetri’s eyes and increasing his intensity. It’s clever thinking since his eyes are Ashok Selvan’s best resource and he does manage to convey more emotion through these shots than in his otherwise rather static expressions. The music by Nivas K Prasanna is mainly sweet and melodic, fitting the romantic mood of the songs but also evoking some suspense in the background score. There are no big song and dance numbers and the songs are used to move the story forward, which works well for the screenplay. 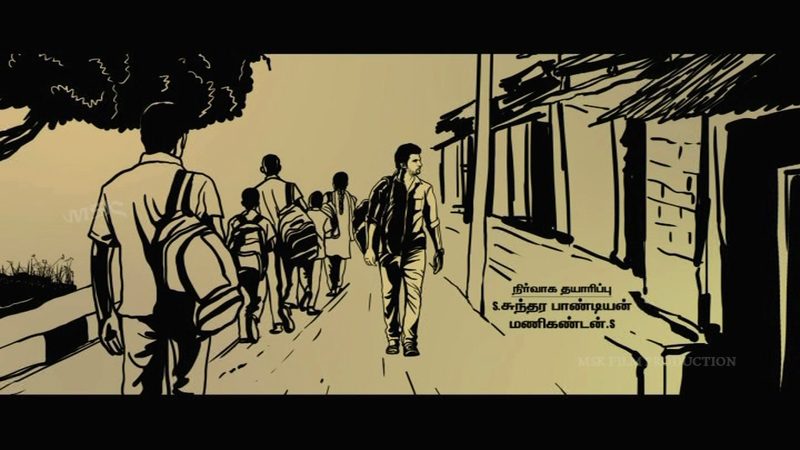 Keeping it simple seems to be the guiding force behind everything in Thegidi, from the music to the fight scenes to the story itself and it works a treat. Director P. Ramesh is another winner of Nalaya Iyakunar, the TV show which going by their recent ‘graduates’ seems to be doing a great job of identifying new talent in Tamil cinema. His experience in short films has stood him in good stead as he shows understanding of the benefit of a good storyline and the importance of believable dialogue, something that many filmmakers never seem to grasp. 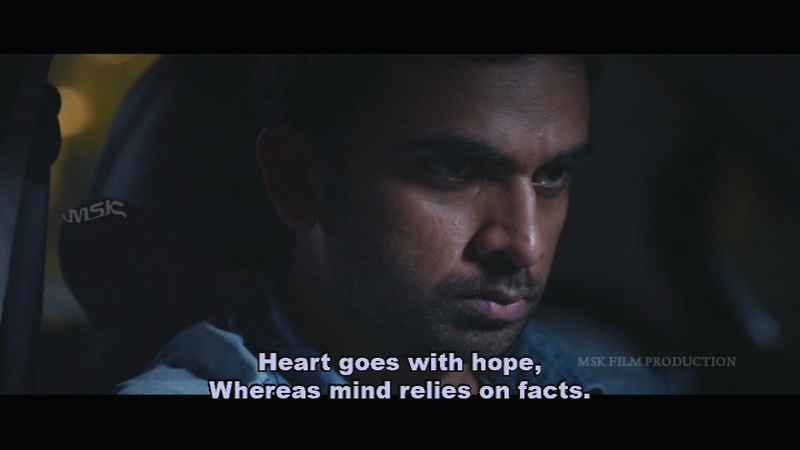 Thegidi isn’t a fantastic thriller but it is a good story and just as importantly, one which is well told. A little more suspense would not have gone amiss but I really liked the fact that the bad guys (and the hero and his friend too) were really so very ordinary. Definitely worth watching for a different take on a detective story and some good interior design ideas! 4 stars. This entry was posted in Kollywood and tagged Ashok Selvan, Dinesh Krishnan, Janani Iyer, Jayakumar, Kaali Venkat, Nivas K. Prasanna, P Ramesh, Pradeep Nair, Rajan Iyer, Tamil, Thegidi, V Jayaprakash. Bookmark the permalink.